Greatland Welding and Machine Inc. carries marine supplies and parts to cover your marine and boating needs. We carry products from, Blue Seas, Sea Dog Line, Perko, Rule, Sierra, Racor and other quality brands. We are a dealer for L.F.S., a national wholesaler for marine parts and supplies. 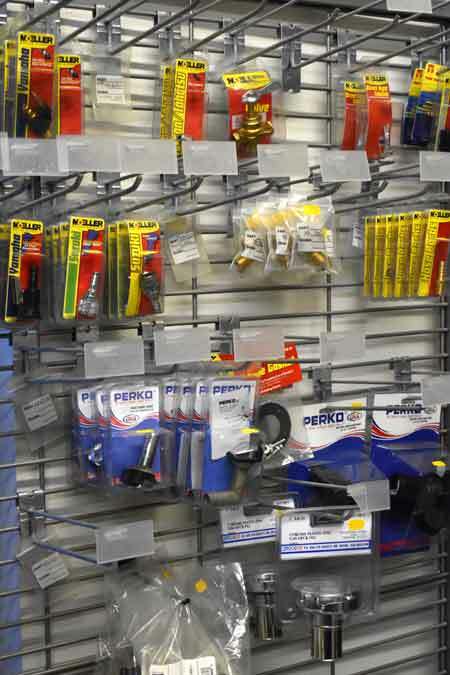 With a warehouse in Anchorage, parts that we might not stock are close at hand. We have marine parts and supplies in stock now and if we don’t have it we can order it for you and have it shipped here. Racor filters are built to solve tough filtration problems and are a must in Alaska weather conditions. Water separators and filtration systems help your engine run clean and free from water deposits. We carry a line of boat propellors from Michigan and OMC. We also have a good selection of jet pump impellers for most outboard jet motors. We stock marine lighting, battery disconnect switches, battery boxes, wash down pumps, windshield wipers, boat hatches, and more. If we don’t stock it we can order it. We have a variety of boat gas tanks in different sizes from Moeller. If you need a boat fuel tank custom built our welding fabricators can build one for you to exact specifications. We also carry many of the most popular fuel connecters for most outboard motors.